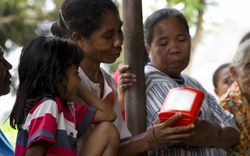 The Energy Access Portal provides an overview of the information on energypedia related to Energy Access. Look for specific topics, latest articles or uploaded documents and announce upcoming events. Have a query? Discuss it with the solar experts on energypedia here! This portal was created in collaboration with “World Access to Modern Energy” Project, which is managed jointly by Museo Nazionale della Scienza e Tecnologia Leonardo da Vinci (MuST), the Fondazione AEM and the Florence School of Regulation (FSR) and it is supported by Fondazione CARIPLO.